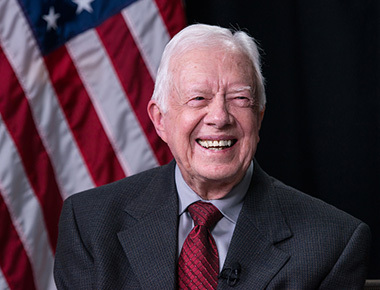 Jimmy Carter explains the life lessons learned from Jack and Rachel Clark while staying at their home while his parents traveled. He learned the basic rudiments of life and priorities that human beings should accrue. He also gained insight into how sharecroppers and day laborers lived in a segregated society. President Jimmy Carter illustrates how the barn was the center of attention on the family’s farm in Plains. He describes one experience in particular as ‘one of the turning points’ in his life.